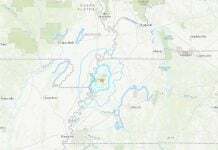 The US has been rocked by a series of eight earthquakes in less than a 24 hour period, excluding Alaska. The largest earthquake was a magnitude 4.9 earthquake which happened off Bandon, Oregon at 10.46pm GMT (4.46pm local time) on Sunday. 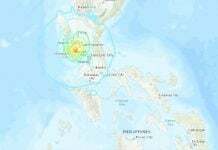 This quake was followed by a M2.9 and a M2.8 that hit almost at the same place. 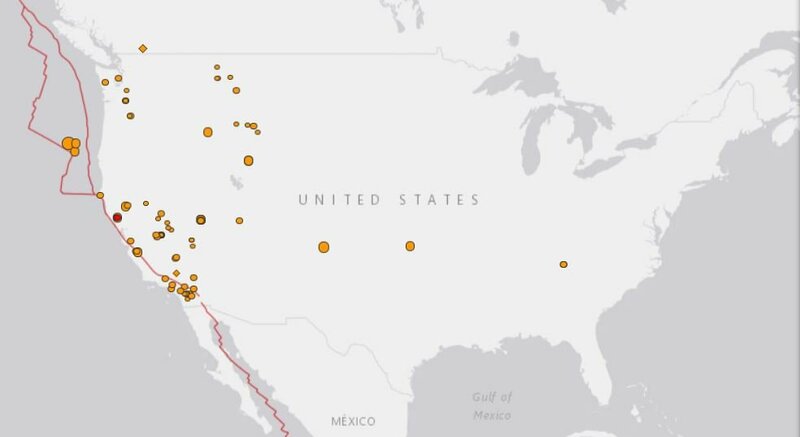 In total, 742 earthquakes have struck California and Nevada in only ONE WEEK, showing the heightened seismic activity in the two states. Meanwhile, Kodiak, Alaska, also continues to be the location of ongoing seismic activity following a huge 8.0 quake in the region last week. 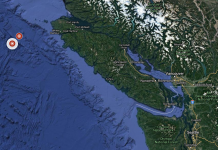 The largest continental quake in the last 24 hours – a M4.9 tremor – hit off Oregon’s coast on January 28, 2018 and was followed by two smaller M2.9 and M2.8 tremblors. 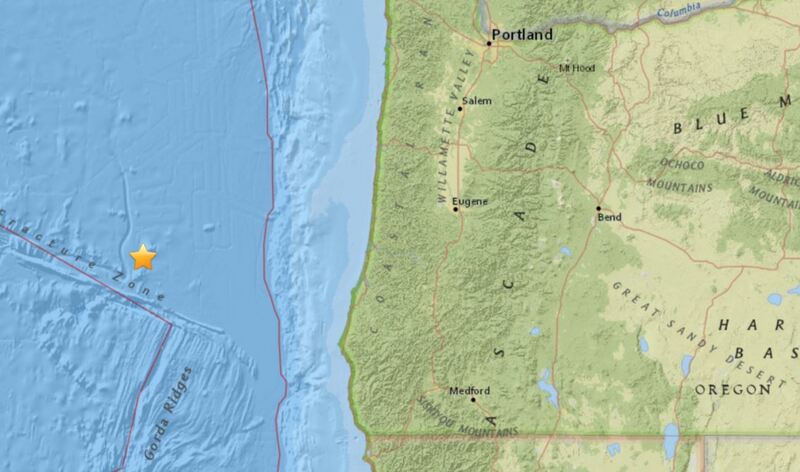 M4.9 earthquake hits off Oregon’s coast. 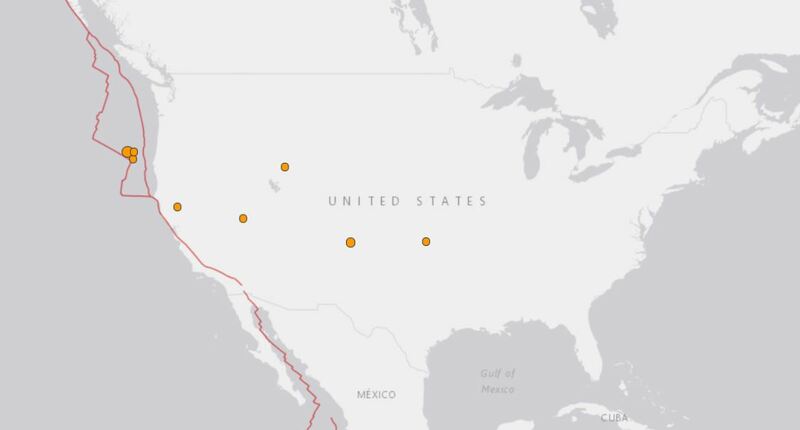 In total, 742 earthquakes have struck California and Nevada in only ONE WEEK, showing the enhanced seismic activity in the two states in the last days. 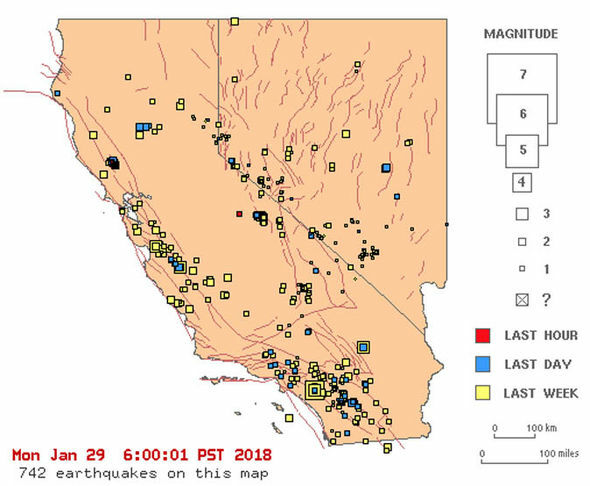 742 earthquakes hit California and Nevada in only 1 week. 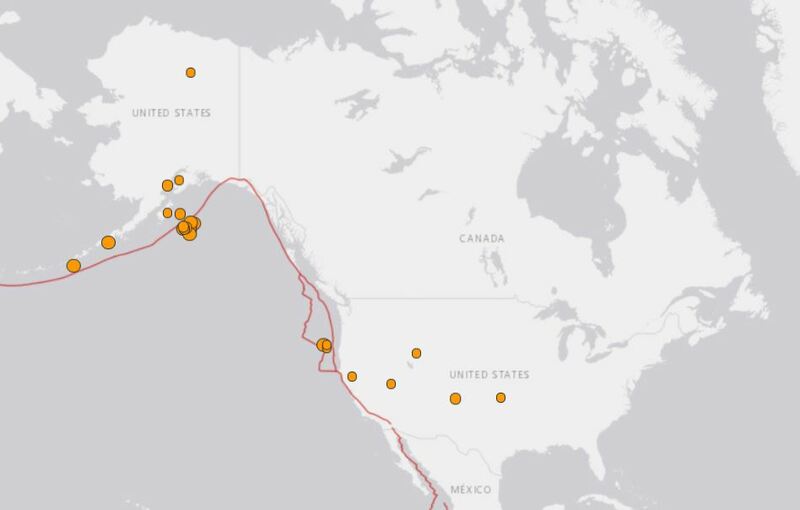 We are currently experiencing enhanced seismic activity in the USA. Hopefully this with not end with the surely looming ‘Big One’.